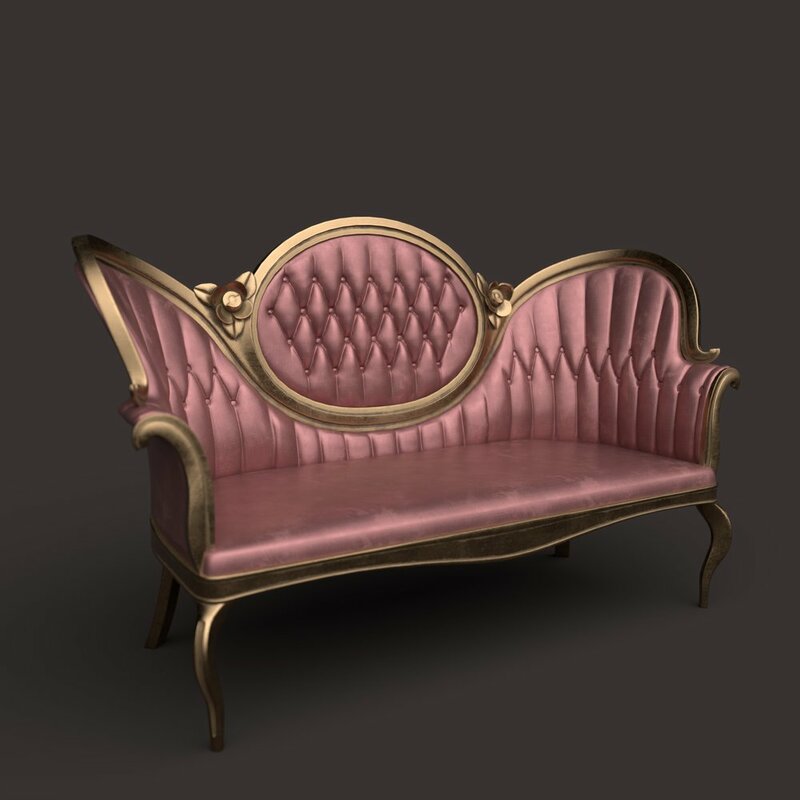 A 3D model of an antiqued Victorian settee made of tarnished bronze and rose silk. A 3D model of a weathered painted copper key. A 3D model study of a simple chicken egg. An oxidized 3D model of a modern key. Low-poly 3D model of a simple silver bracelet. Created for VR High Fidelity. Low-poly 3D model of steampunk goggles. Created for VR High Fidelity. Water stained and aged study of a tin cup. Game engine ready 3D model of a bronze serving platter. A 3D model of a tiny kildeer egg.